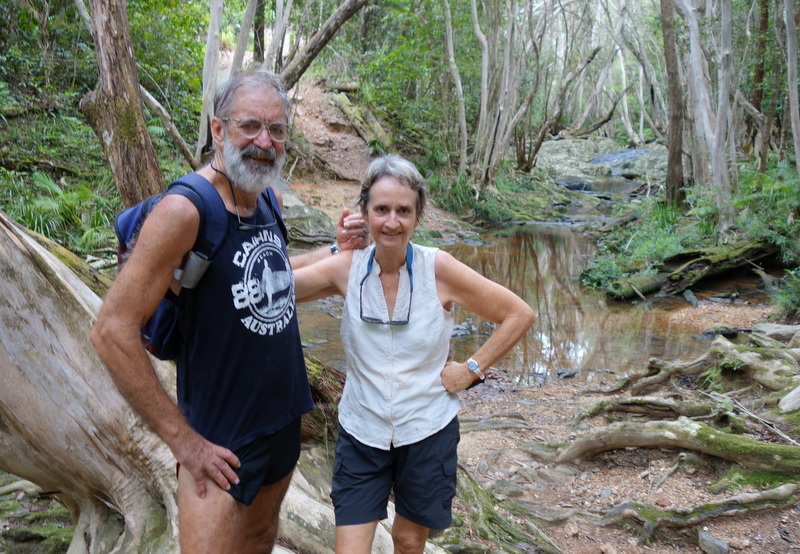 A day walk up the Bump Track and along the top of the ranges to the top of a well hidden waterfall on the Mowbray River. The footpath starts about 10 minutes drive from Port Douglas at the end of Connelly Rd. There is a locked gate, well signposted by National Parks and plenty of parking space. The track climbs about 300m very steeply over the first 2 kms, watch for cyclists coming down at speed. 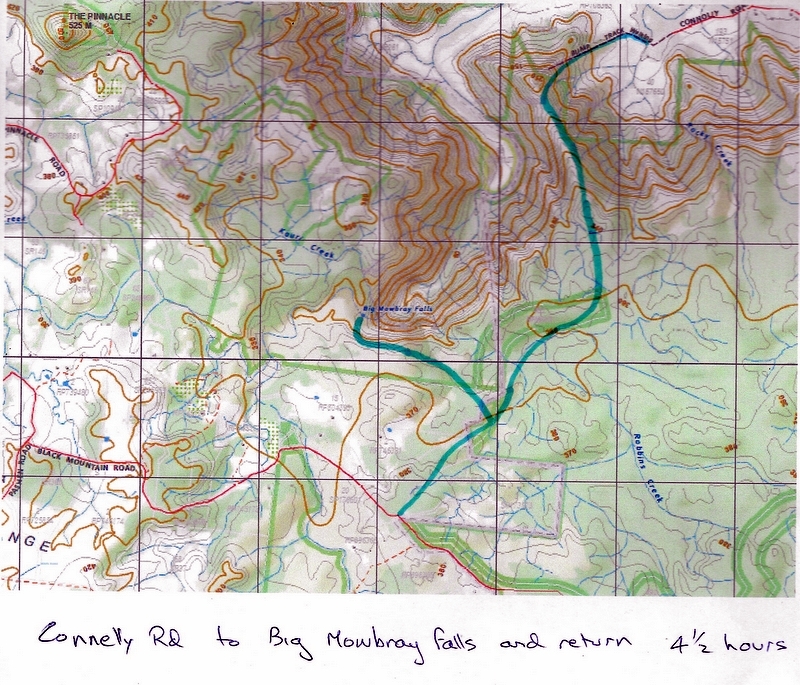 Once on top the hard work is over and the rest of the walk is a pleasant wander along the ridge through mixed forest. Expect it to take about 30 minutes from the top of the climb to Robbins Creek. Not much water so you should be able to get through with dry feet. Beautiful Melaleuca trees lining the creek. The main trail continues to Black Mountain Road, about 1 km away but there is an unmarked turnoff to the right for the Falls about 5 minutes from Robbins Creek. So if you find Black Mountain Road, you’ve missed the turnoff. 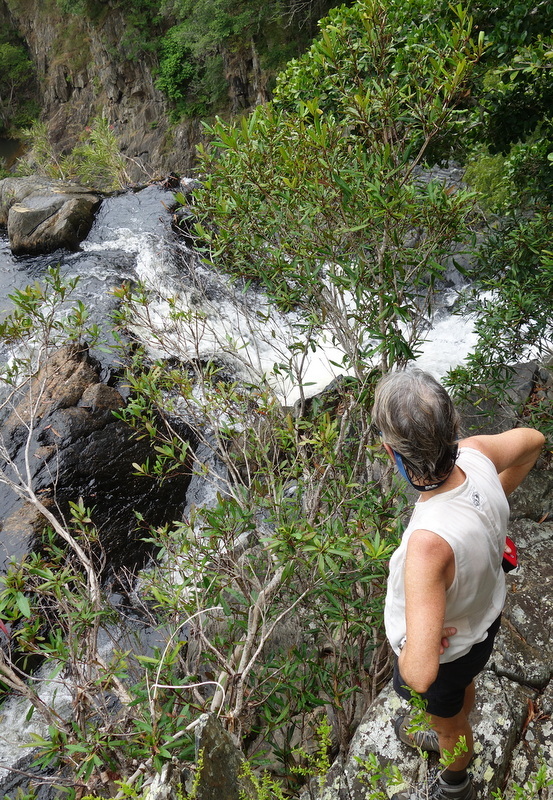 The side track to the falls takes about 45 minutes, going up and down several gullies before it reaches the edge of the gorge, following the edge for several hundred meters before dropping steeply 50m to the main creek. 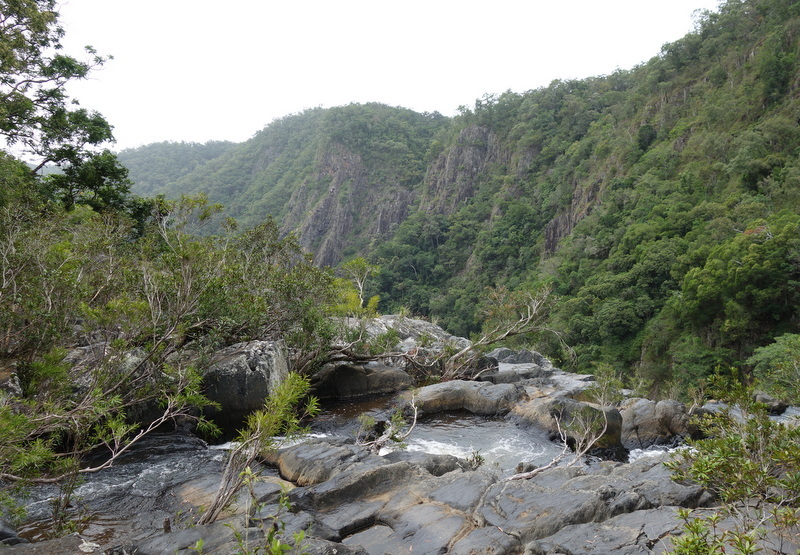 The top of the falls is about 100m rockhopping to the right. Big Mowbray Falls below us. Our access footpath is along the top of the cliff on the right. A pleasant days walking with plenty of time for lunch and a dip in the creek. It took us around 41/2 hours for the whole trip, getting back to the car just as the knees were starting to pack up on the steep descent. I would have liked to see the falls from below, but there seems to be no public access up the creek and the gorge sides are too steep to consider a scrub bash down.